Your opening line has a BIG impact on how your donors react and feel. It’s NOT about me. It’s not about my company. Sure…WE accomplish things together. 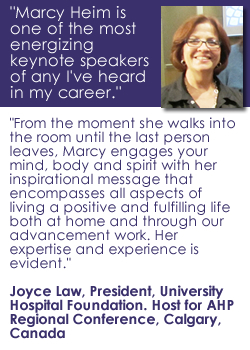 Sure, my MORE Major Gifts workshop propels folks to greater major giving success. Yep, my VIP clients raise millions working with me. Indeed, my Dream-Act-Achieve Coaching clients are happier and more productive! Blah, Blah, Blah. You don’t want to be sold. Neither do your donors. How you show up to embrace these most generous months will determine your year-end results. Talk TO your givers, not AT them. This is about your year-end letters and emails, annual reports, and impact brochures. Whatever you send…beginning now. Before you begin… remember, the OUTSIDE of the envelope or SUBJECT line has to make it past the garbage and delete key. You will enjoy these 10 tips for annual appeal letters! Then you will get to read an actual sample piece I’ve reworked to show you what I mean. 1. The very first sentence needs to be directed to YOU and the very first paragraph needs to say it all. Really. It may well be all they read. 2. Your core message is only 4-5 sentences and bolded. In a nutshell, what is your message? You are important to us for your partnership and support. Your giving has an impact. Thank you. Yes, there is more to do. Would you consider a gift now? PS Big hug moment. Would you consider a gift now? If you just read the bolded sentences, it should read like a mini-piece within the larger piece, hang together and make sense. The bolded sentences are all many will read…after the first line, or in place of the first line. 3. Read whatever you write OUT LOUD. 4. Use whatever length you need to tell the story. There are successful, informative 4-page appeal letters BUT they are engaging and YOU-focused top to bottom. I think it’s hard to write so I generally stick with one page. 5. “Join me” flows from the signatory’s lips. PS Only the first $10,000 in gifts received will be matched. Double your impact, now! PS My wife, Julie, and I give because we so believe in these young people. Prayerfully consider joining us with your gift now so we can bring more students into the Chapel. PS You can stop the hurting. Join us with your gift yet this year. Find great ones and make this as BIG as possible! Have a single purpose for your correspondence. While you can always be grateful, when you are asking, ASK. When you are saying, “Thank you”, don’t have your hand out for more. The donor deserves to have at least 3 pure thanks touches before you ask again. Hire help to make it all work on the back end if you have to – make it easy to send in, press the button, whatever. Yes, even if it feels like it is too much. Do it anyway, We are a society of second and third chances. We hit delete expecting it will come around again. We toss it thinking there will be another. And Now…thanks for Nancy Gerard for letting me use her piece to launch the next phase of the campaign as an example. The next stretch for success! We are delighted to report success in surpassing our first fundraising goal of $12 million for the Continuing the Mission initiative that was established in 2015! Our goal was to raise funding for facilities, student support and program enhancements for Georgia-Cumberland Academy that would set this school on solid footing and prepare us for a bright future. Now, three years into this initiative, our hearts are bursting with joy as we see what God has done through people like you and through the support of the Georgia-Cumberland Conference, foundations, and businesses. Because of you we were able to dedicate and officially open the new Wally Fox Wellness Center, which includes a new large gym, cafeteria, classroom and fitness facilities. Because of you, students are up early working out and improving their personal fitness. Because of you we are able to host large events in our new gymnasium. Because of you, students and staff are enjoying healthy meals in our new dining commons. Because of you, groups are able to meet to accomplish important work in the new private dining room. But we aren’t done yet! As we take this Next Stretch for Success, we seek donors like you who are interested in naming opportunities to fund the completion of our new facilities and renovations of the existing spaces. In our Next Stretch for Success, we will look for partners like you to help us reach our goals to fully fund the additional scholarships and endowments we need. Finally, the Next Stretch for Success will find us seeking those who are interested in providing funding for strong, cutting edge programs such as sports, music, student life and campus ministries. Thank you for partnering with us in the Next Stretch for Success! Thanks to you our first fundraising goal of $12 million for the Continuing the Mission initiative has been passed! In 2015, you challenged us to set GCA on solid footing and prepare us for a bright future. To accomplish this we embraced a big vision to raise funds for facilities, student support and program enhancements. Now, three years into this initiative, our hearts are bursting with joy as we see what God has done through people like you and through the support of the Georgia-Cumberland Conference, foundations, and businesses. Because of you, our Next Stretch for Success is possible! As we take this Next Stretch for Success, partners like you interested in naming opportunities will fund the completion of our new facilities and renovations of the existing spaces. In this Next Stretch for Success, partners like you will help fully fund the additional scholarships and endowments needed for our students to experience GCA. And, in this the Next Stretch for Success partners like you will invest in funding for strong, cutting edge programs important to you, such as sports, music, student life and campus ministries. Thank you! We have every confidence that God will stir our hearts as we take this Next Stretch for Success together! Get writing! I’ll share some emails next time. 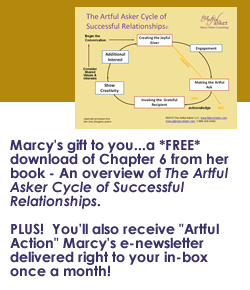 Marcy Heim is a trusted authority in the development profession and helps organizations and educational institutions boost their major gift programs through artful, long-term relationship building that dramatically increases fundraising success while promoting increased staff job satisfaction. 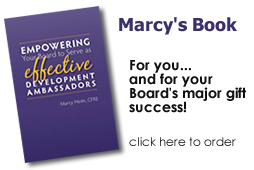 To receive a free chapter from Marcy’s book, Empower Your Board to Serve as Effective Development Ambassadors, click here. Anti-Spam Quiz: (We just need to make sure you're a human and not a robot...) What color is a Stop sign, green or RED?